Caroline Allen was born at Branxholme, one of ten children of Edward Allen and Ann Capenhurst. She became a nurse, training at Hamilton Hospital from 1903. In 1908, she moved to the position of “additional nurse” at the Hamilton Maternity Hospital with payment of £50. 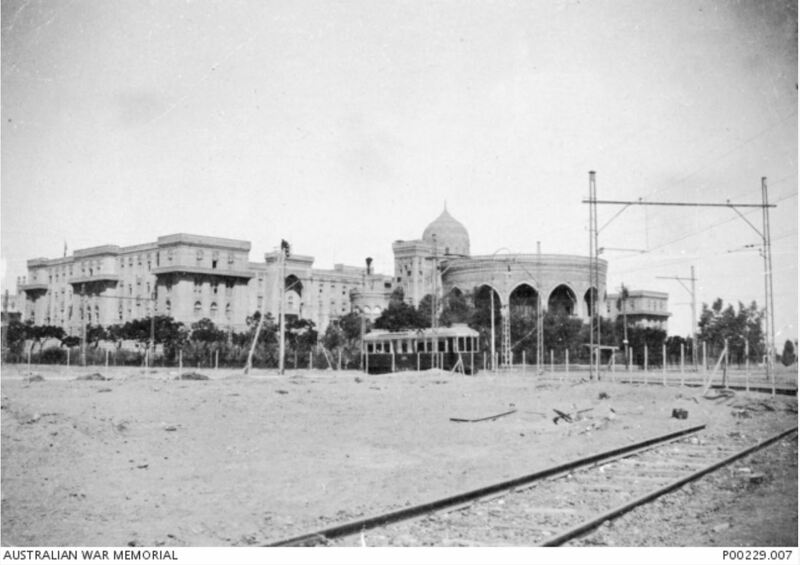 Around 1909, Caroline moved to Western Australia and spent about ten months nursing before becoming matron of a private hospital Anatoli in Brookman Street, Kalgoorlie, Western Australia. 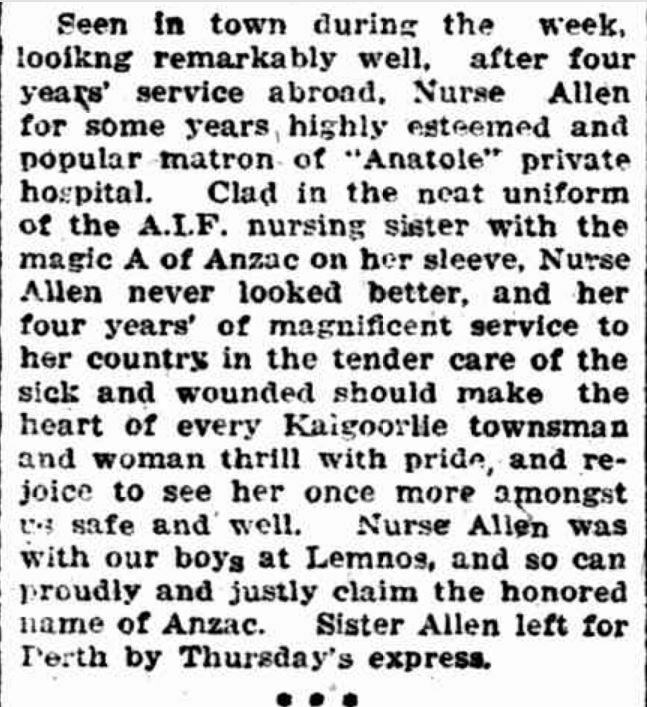 On 19 March 1916, Caroline returned to Australia while nursing on a hospital ship giving her a chance to have a short leave break in Kalgoorlie. By July 1916, Caroline was in England at the No 1. 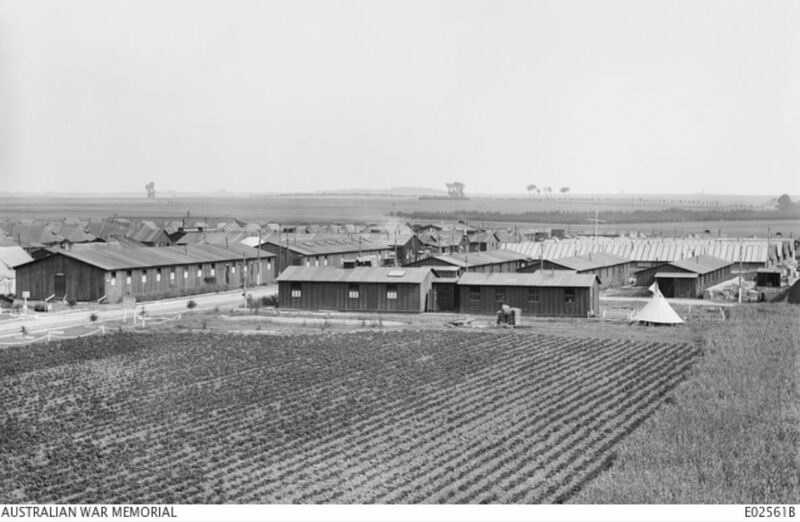 Australian Auxiliary Hospital at Harefield. She remained there until 1 January 1918 when she left for France arriving on 19 January. She was posted to the 3rd Australian General Hospital (3rd AGH) at Abbeville. The 1st Australian General Hospital at Rouen was short-staffed so Caroline went to Rouen on 30 March remaining there until 7 July when she returned to Abbeville. On 1 October, Caroline was promoted to Sister. Matron Grace Wilson’s report for October 1918 mentioned many nurses were sick with heavy colds and sore throats. They were working long hours with very little time off duty. There was a heavy turnover of patients and many were very ill, requiring extra nursing. Added to the strain of the workload, Caroline’s father died at Branxholme on 25 October. Armistice came the following month and there was a chance for some off-duty time. On 4 December 1918, Caroline was admitted to the 3rd AGH with exhaustion. She was one of four sisters admitted to hospital during the month. After some time in England, Caroline left for Melbourne on 28 February 1919 and disembarked at Melbourne on 17 April. Presumably, Caroline spent time with her Victorian family before she caught the train for Perth. She arrived at Kalgoorlie Station on 24 May 1919. It was just a short break in the town before she caught the train for Perth. “IN THE SOCIAL SWIM” The Sun (Kalgoorlie, WA : 1898 – 1919) 15 June 1919: 8. Web. 18 Mar 2018 <http://nla.gov.au/nla.news-article211485519&gt;. By 1925, Caroline was living at Harvey, Western Australia with her older sister Elizabeth Ann who was also a nurse. By 1928, Caroline was working as a sister at the Leederville Infant Health Centre in Perth. Caroline moved to 41a Salisbury Street, Leederville with Elizabeth and their younger sister Lilian also moved in. 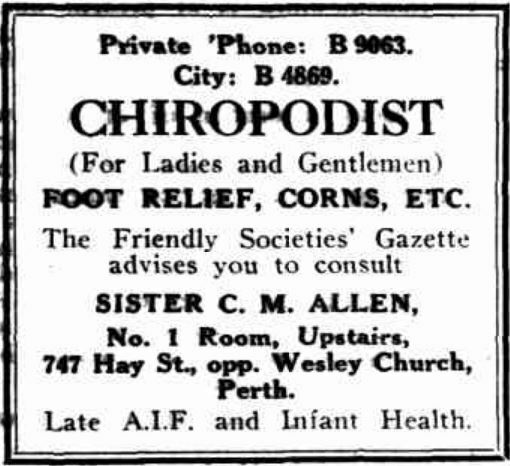 She was listed in the local business directory as a midwife and she was also a Chiropodist. “Advertising” Coolgardie Miner (WA : 1935 – 1954) 16 July 1936: 6. Web. 18 Mar 2018 <http://nla.gov.au/nla.news-article218004547&gt;. In time, younger sister Lilian went to live with Caroline and Elizabeth at 41a Salisbury Avenue. Caroline died at Leederville Perth in 1957 at the age of eighty-six. She is remembered on the Hamilton Hospital Honour Board.